Product information "Shibumi Wengé Wood Hangers"
Shibumi hangers made up from beautiful dark brown wengé wood with an engraved logo and a brass hook. Made in Italy with fully formed shoulders that make sure to keep your beloved jackets in shape. We stock three different shoulder sizes to offer you the perfect protection for your precious garments. 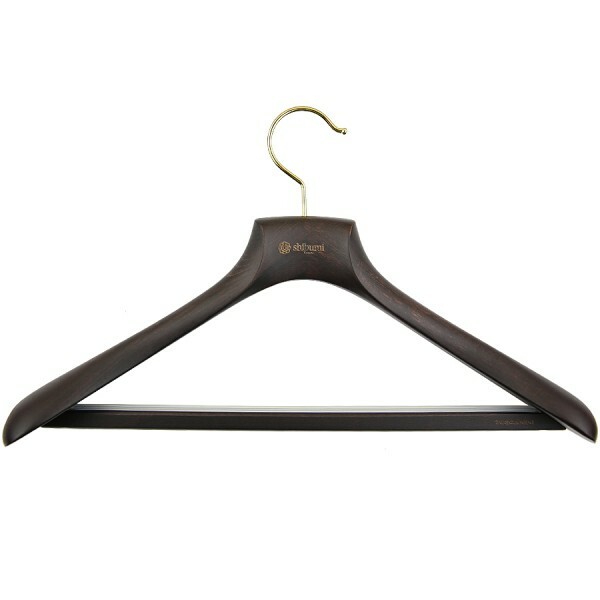 Related links to "Shibumi Wengé Wood Hangers"